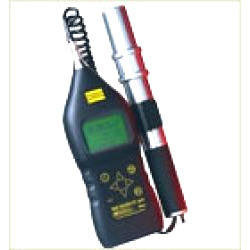 Manufacturer & Exporter of Microdust Pro Real-Time Dust Monitor & Microdust Pro Real Time Dust Monitor. Our product range also comprises of Cleanroom Validation Equipment, Measuring Equipment and Particle Counters. With the aid of advanced development unit, we are proficient to offer an extensive series Microdust Pro Real Time Dust Monitor. These are developed employing the high-grade component which is obtained from dependable vendors of market. In addition, we provide this product in different configurations to cater the diverse demands of our patrons. Furthermore, we present this product at low costs to our patrons.